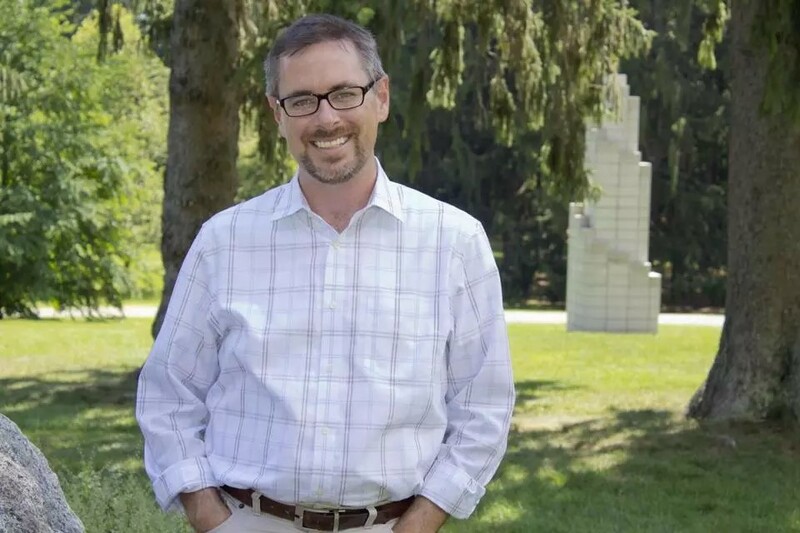 The incoming executive director of the Burchfield Penney Art Center would like it to become a model for community engagement and dialogue. "I think museums are some of the last great public spaces in our country that are not politicized," Dennis Kois said from his home in Milwaukee. The Burchfield Penney announced he would assume the new job April 22. Kois, a Wisconsin native, was previously president and CEO of the Milwaukee Public Museum, and his August 2018 resignation followed an investigation by the museum's board into an accusation he had an affair with a subordinate. Kois, in an interview with The News, called the allegations unfounded. He said he resigned for personal reasons. A SUNY Buffalo State search committee said its review of Kois' departure left it reassured. "The search committee, along with the leadership of the Burchfield Penney Art Center and SUNY Buffalo State, thoroughly reviewed the circumstances of Dennis' resignation from the Milwaukee Public Museum – including a number of in-depth consultations with its board members – and we are confident that the nature of his departure from the Milwaukee Public Museum was under good terms and strictly for personal reasons," according to Burchfield Penney Board Chair Gina O'Neill in a statement. Kois said he wouldn't be in Buffalo if something disqualifying was found. "At every level of this process, the search firm, the museum and the college all did an incredibly thorough job from my perspective, from speaking with people here in Milwaukee, on the board and in the community," Kois said. "I think if there were any concerns I wouldn't have been invited to come to Buffalo." Kois, a 49-year-old Wisconsin native, starts at the Burchfield Penney on April 22. Kois said he wants the Burchfield Penney to help artists gain national gallery recognition and to be exhibited in shows and museums across the country. "Of all the museums I have ever run or been involved with, the facility at Burchfield Penney is in phenomenal shape," Kois said. "From a museum director's perspective, it's a joy to come into an institution that has been so well cared for." Kois' family has a Buffalo background. His father was born in Buffalo and lived on Lilac Street in South Buffalo. His grandfather managed the old Telenews Theatre on Main Street. Kois began his museum career as assistant chief designer of the Metropolitan Museum of Art in New York City. He has served as executive director of the deCordova Sculpture Park and Museum, outside Boston and at the Grace Museum in Abilene, Texas. He graduated from University of Wisconsin-Milwaukee and earned a Master of Arts degree in museum studies at New York University. Kois said going to the smaller Burchfield Penney was "a very conscious decision." "The museum has a similar aspect to its mission as the deCordova," Kois said. "For a long time it showed only regional artists from New England. It's a similar size, and I really enjoyed running that institution. I realized that for me that size museum is the sweet spot and it's what I'm best at." Kois also looks forward to helping publicize Charles Burchfield's work. "His work is incredibly well-known in the art world, and it is a world-class collection, but it's not as well known as it should be to the broad public," he said.